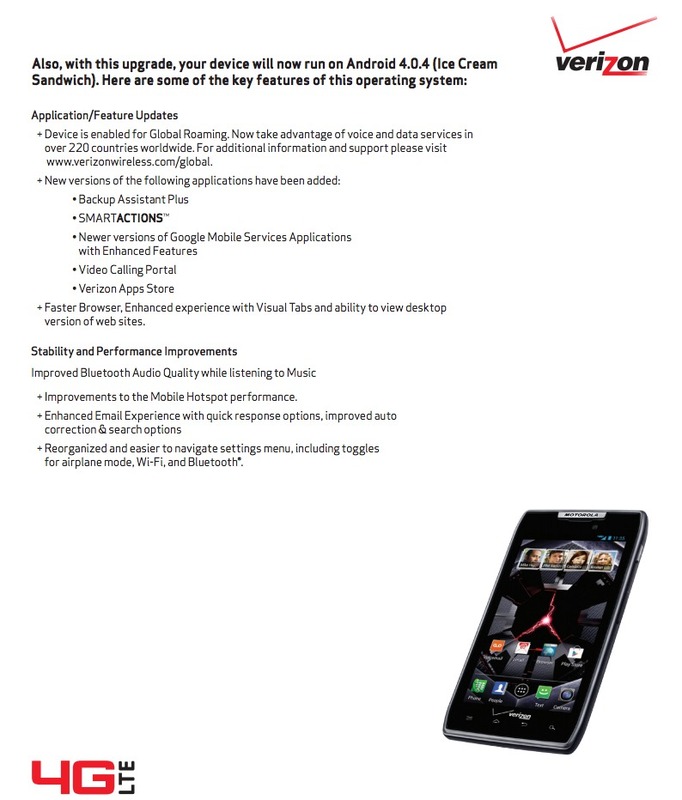 I have no idea what the hell is going on in Australia, but Verizon just posted the support docs for the DROID RAZR and RAZR MAXX Ice Cream Sandwich update. This almost always indicates that the update is days away from rolling out. I’d say that the June 22 and 27 dates we heard are definitely in play. The build number is 6.16.211 which leaked out 3 days ago. Global roaming is included, a new video calling feature, new Smart Actions app, and a whole bunch of other goodies. 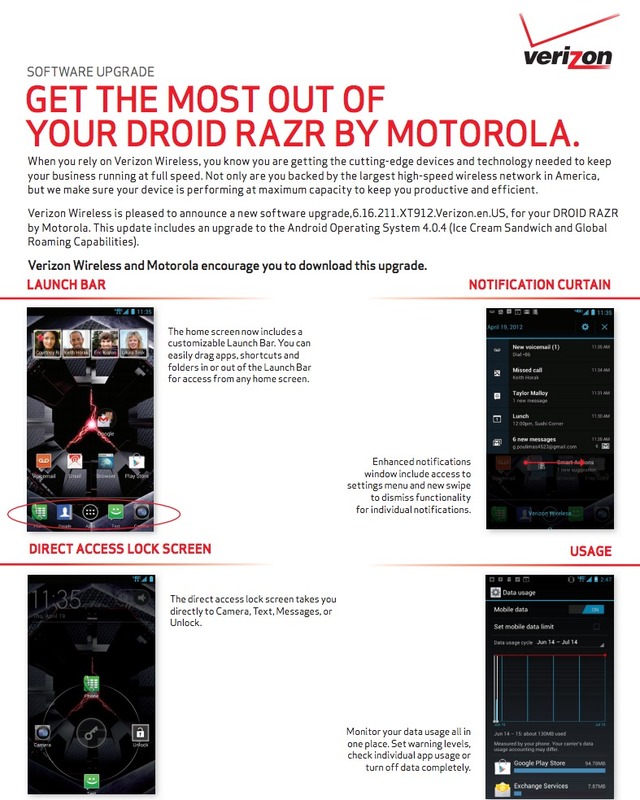 Mostly though, it’s all about Android 4.0.4 and the complete makeover that Motorola’s Blur has received. It’s much less intrusive, but with enough add-ons to make it semi-appetizing. This is it, the update you have been waiting 7 months for. The update is 354MB in size. More. Update: Motorola updated their DROID RAZR page as well. 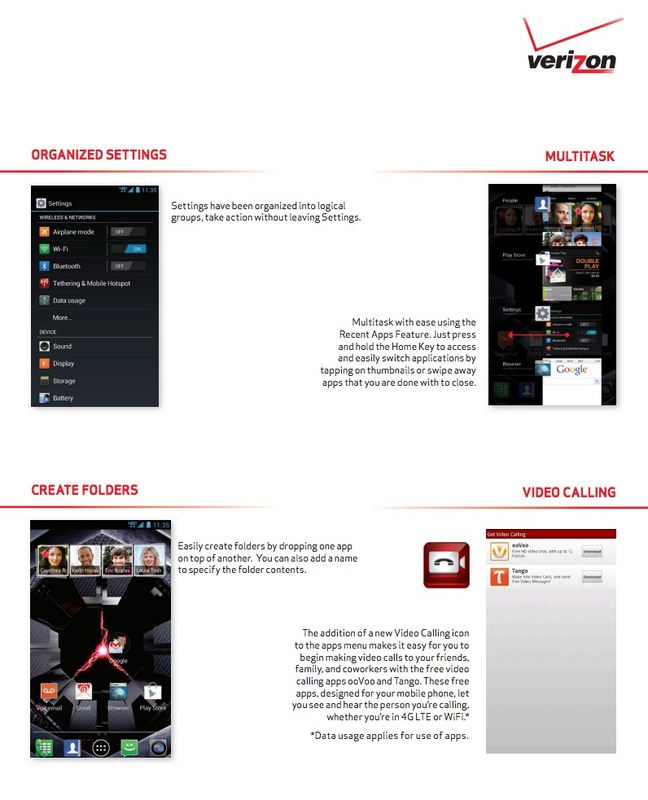 It includes a whole bunch of Ice Cream Sandwich tutorial videos that you may want to take a look at. We have a bunch of them posted here as well.